Our Rusula wine is made from the black grape Plavac mali sort, from our very own vineyards, on steep southern slopes and hills descending into the sea. The name Rusula is an old Dalmatian name for the rose flower. With organic grape production, contemporary processing and modern way of winemaking we created this light and refreshing wine which is best served at the temperature of 10-12 °C. Food pairing: Cold salads, sea dishes and desserts. The winegrowing tradition in the Štimac family goes back to the beginning of the 20th century. The first vineyards were planted by the great grandfather of the current generation of the Štimac family, Mihovil Mijo Popich, known by his nickname Rizman. Rizman was born in 1885 and lived a full and long life. He lived to be 96 years old. He lived in a family house in Opuzen in the valley of Neretva, where the vineyards were located. When the vineyards were devastated by vine disease (peronospora), Rizman was forced to emigrate to America, as were most residents of South Dalmatia. He came back to Opuzen in 1918 and continued planting new vine. In his vineyard, Rizman cultivated eight thousand vines. Working in the vineyard was hard, and it took a lot of effort for Rizman to transport the grapes with a hull to a tavern in Opuzen to be processed. There he made wine by himself and sold it. 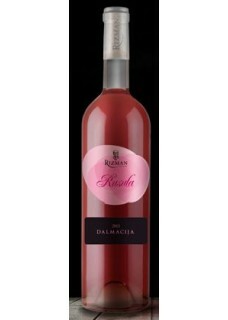 The Rizman winery once again started its production in 2006, skipping an entire generation of the Štimac family. A new vineyard was planted in new locations, the necessary infrastructure was built and a completely new winegrowing region was created in Croatia. The Štimac family is the first investor and ideological initiator of the new winegrowing region, which includes more than 80 hectares of vine plants in 2012.